The sales revenue reported by Antibiotice in the first 9 months of 2015 amounted to 216.3 million lei, reaching the same value as last year. By the end of the year it is estimated to reach the budgeted benchmark of 326 million lei, 30% being obtained from exports. Ther gross profit reported by the company in the first 9 months reached 16.7 million lei, up 14% as compared to the estimations of the Budget of Revenue and Expenditure, but 6.9 million lei less than in 2014 – a drop determined largely by a 33% increase of the claw back tax, for the same period. The net profit reported is 14.6 million lei, up 19% compared with the budgeted values. Under the pressure of various factors influencing the Romanian pharmaceutical market in the first months of 2015, figures are estimated to go down 1.4 % as compared to the same interval last year. The market’s rebound is due especially to the legislative changes regarding the compensation of drugs, a decrease in drug prices and the progressive increase of the claw-back tax, as well as the insolvency of several distributors and pharmacies. The company’s efforts in January to September 2015 focused on further increasing consumption on the domestic market, in pharmacies and hospitals, respectively from 184 million RON in 2014 to 210.4 million RON in 2015, representing a 14% increase. According to Cegedim data on deliveries to pharmacies and hospitals, Antibiotice sales have reported a 14% increase over the similar period last year, from 184.6 million RON to 210.4 million RON, while the market drops 1.4%. 9 months in, Antibiotice maintains its leading position on the segment of generics sold to hospitals, with a market share of 18.5%, higher by 16.7% over the similar period in 2014. Our company is ranked 4th on the generics’ market in Romania, with a market share of 5.5%; within the total pharmaceutical market Antibiotice occupies the 13th position, with a 2.38 % market share. The therapeutic classes that showed significant increases in sales are: anti-infectives (+14 million lei), dermatologicals (+4.8 million lei), digestive tract (+2 million lei) and cardiovascular system (+2.1 mil. lei). 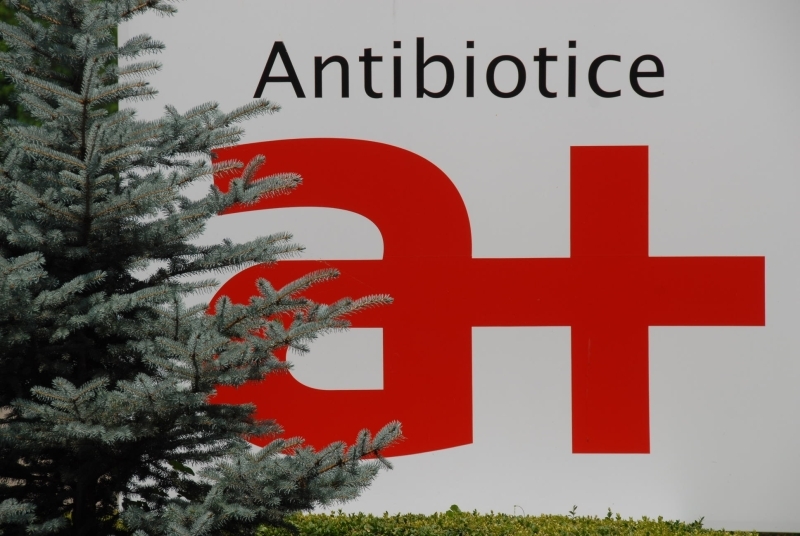 Antibiotice maintains its leadership in terms of units sold, as follows: for ointments, a market share of 27.8%, suppositories 43% and injectables 75%. Compared to 2014, the company climbed one position on the capsules market segment (in terms of volume), reaching 2nd position and boasting a market share of 7.6%. The new products launched by the company in the first 9 months are CNS related drugs (completing the Memantina Atb®range) and anti-infectives for systemic use (Imipenem / Cilastatin Atb®). The figures reported after 9 months show sales to foreign markets amounting to 63.8 million RON, a 10% increase compared to the same period of 2014. However, Antibiotice was prudent in its exposure to foreign markets in the current geo-political context of the Middle East and the economic crisis in Russia, CIS and Latin America. Thanks to obtaining new authorizations for the North American market for Nystatin active ingredient, in 2016 Antibiotice estimates a growth in export turnover, especially through new partnerships with US clients. We also envisage an increase in turnover thanks to exports of injectable finished products to the UK and US, exports of capsules in France, the Netherlands and Southeast Asia, and ointments and ovules to CIS. • gross profit worth of 26.1 million lei.